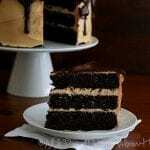 Chocolate Peanut Butter Layer Cake has rich chocolate flavour with a creamy peanut butter frosting and sugar free chocolate ganache. My best low carb chocolate cake recipe yet! Wait, what? You don’t think that’s earth shattering news? Think about it! Think about the impact this could have! Chocolate ganache, that silky smooth layer of sweetness that drips down the sides of the most delicious desserts. Seriously, this stuff could bring about world peace. It makes people happy. It certainly makes me happy. And best of all, it hides my lousy cake-decorating skills. If chocolate ganache can make my messily frosted cakes look this good, what can’t it do? Try it! The next time you frost a cake with regular buttercream frosting, compare it to the ones shown in cooking magazines. Then you will realize just how lacking in ability you really are. Then whip up some chocolate ganache, preferably my low carb, sugar-free chocolate ganache, and drizzle it over the top and down the sides. See what I mean? Chocolate ganache fixes everything. Okay, so maybe I am going a wee bit far with the world peace chocolate ganache connection. But still, chocolate ganache is my go-to cake decorating technique, mostly because it isn’t much of a technique at all. Just pour and go. 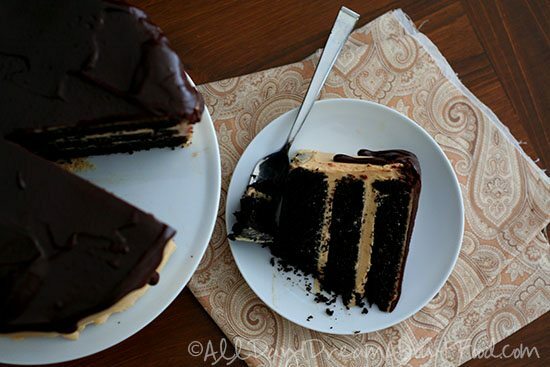 And when I envisioned a big chocolate peanut butter layer cake with deep dark chocolate layers and rich peanut butter frosting, I also envisioned it with chocolate ganache dripping down the sides. Even if it hadn’t been part of the plan originally, I am sure I would have resorted to it in the end. Because once again, I was came face to face with my inability to frost a cake neatly, no matter how hard I try. So chocolate ganache to the rescue, again! This gorgeous low carb chocolate cake recipe has been flitting around in my brain for quite some time. 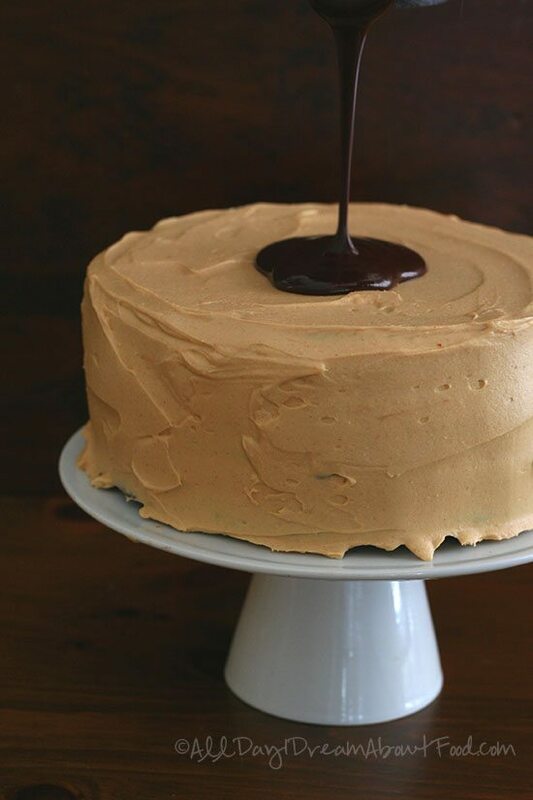 There are any number of high carb, gluten-filled versions out there, most notably this chocolate peanut butter cake from Smitten Kitchen. I’d seen it ages ago and always wondered if I could make it over to be low carb and gluten-free. My confidence in my abilities has increased dramatically since then, and I was craving a big, rich delicious keto layer cake, so I decided to give it a go. I experimented a bit with my chocolate cake batter this time and used baking soda instead of baking powder, with a bit of cream of tartar and some acid (vinegar) to activate the soda during baking. If you don’t have these items, you can simply use baking powder instead. But I have to say that this is hands down my BEST low carb chocolate cake batter to date. It is perfectly moist, perfectly light and incredibly fine-textured, with an amazing chocolate flavour. 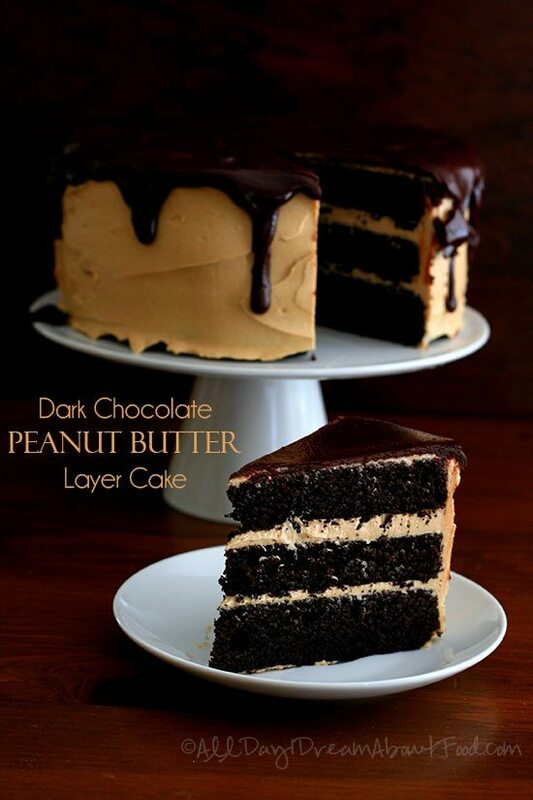 No one would be able to tell that this is not a conventional chocolate peanut butter layer cake. For the frosting, I really just took the recipe from the most popular recipe of 2013, my Chocolate Peanut Butter Popsicles, and modified it a bit to make it into a frosting-like consistency. It worked beautifully. It is light and easy to spread. I could, perhaps, have made a little more of it, but I don’t like my cakes with thick layers of frosting. I prefer a light coating that is flavourful enough to complement the flavour of the cake itself. I did find that I needed to refrigerate the cake for a while before it was set enough to spread ganache on top. And this worked perfectly too, as the ganache set quickly on the cold frosting. My best low carb chocolate cake recipe yet! Rich chocolate flavour with a creamy peanut butter frosting and sugar free chocolate ganache. Preheat oven to 325F and grease 3 8-inch round cake pans well. Line bottom of pans with circles of parchment and grease parchment. In a medium bowl, whisk together almond flour, cocoa powder, coconut flour, whey protein powder, instant coffee, baking soda, cream of tartar and salt. Beat in half of the almond flour mixture, and then almond milk and apple cider vinegar. Beat in remaining almond flour mixture until well combined. Divide batter evenly among prepared cake pans and bake 22 to 25 minutes, until set and a tester inserted in the center comes out clean. Remove and let cool in pans 10 minutes, then flip out onto a wire rack to cool completely. In a large bowl, beat cream cheese, butter and peanut butter until well combined. Beat in sweetener, cream and vanilla extract until mixture is smooth. Place one layer of cake on a serving platter and spread top with about 3/4 cup of frosting. Top with another layer and another 3/4 cup frosting. Add remaining layer and spread remaining frosting over top and sides of cake. Refrigerate cake until frosting is firm, about 2 hours. Serves 20. Each serving has 11 g of carbs and 5 g of fiber. Total NET CARBS = 6 g.
369 Calories; 34g Fat (78.2% calories from fat); 11g Protein; 11g Carbohydrate; 5g Dietary Fiber; 101mg Cholesterol; 380mg Sodium. I am most definitely making this. It has all the elements of a win. Hi! This cake sounds delicious and I will make it this weekend but is there anything I can use instead of the whey protein? any alternative? The extra protein helps the cake rise and hold its shape. Do you just not like whey or can you not get any? You could use hemp protein or powdered egg whites too. If you can’t get any of that, then try adding some gelatin powder. I am not sure it will work the same way (and you don’t need as much! 1 tbsp of grassfed gelatin or 1 envelope Knox gelatin) but it will help hold the cake together more than if you skip it altogether. Hi! Thanks for the immediate reply. I have chocolate protein powder at home without added carbs I cant find any flavorless one here in Malta, do you think I can still use the chocolate one? it tastes more like cocoa then anything else…otherwise I will try gelatine powder as you suggested. Yes, go ahead and use the chocolate one. that should work. I have everything but instant coffee. Can I omit it? Yup, no problem. The coffee is really just something that enhances the chocolate flavour a bit. Would you try this recipe for cupcakes? Thank you. Sure! I think it would make more than 12 cupcakes though. And I’d advise getting the parchment cupcake papers, for easy removal. 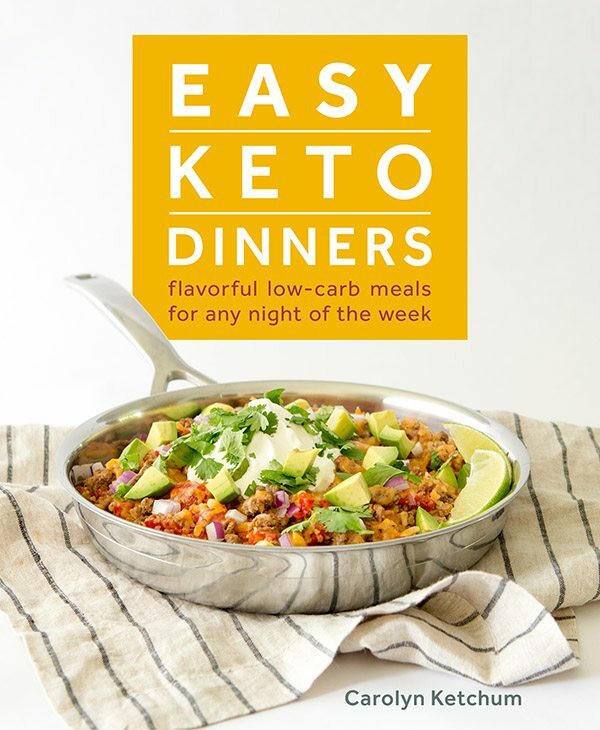 They work best with low carb recipes. This looks amazing!! Quick question… not being a coffee drinker, these coffee ingredients don’t always come natural… when you state ‘1 tbsp instant coffee,’ does that mean the granules? Or, coffee in its liquid state (already made)? Thanks!!! Can’t wait to make this cake!! Yes, granules. I should go back and amend the recipe. It’s actually optional, it just enhances the chocolate flavour. A little trick I picked up from America’s Test Kitchen. I have a question about swerve. I’ve baked with my own erythritol/stevia blend and baked goods come out great however, it gives unbanked things ( like fudge and icing) a strong cooling effect. Does swerve give this same effect in things that are uncooked? Most people, including myself, find no cooling effect with Swerve. That’s a large reason I love it so much (and it’s non-GMO). But every palate is different and some people still experience it with Swerve, but only a small portion of people do. Great thank you, I will get some to try as that was my biggest concern! I do definitely feel the cooling effect in Swerve in frostings, where it’s mostly the main ingredient, but not in baked goods. It doesn’t bother me anyway. Good to know! Compared to buttercream frosting, this one is light on the actual sweetener. I’m the same and my daughter. We made sugar cookie frosting at Christmas with powdered swerve and had to throw it out. We didn’t like that cooling effect, it was weird. That looks spectacular! On the peanut butter, I can’t find any non-natural peanut butter that doesn’t have sugar added. Does your carb count reflect peanut butter with sugar, or without? Peanut butter with sugar. Skippy Natural, to be exact. I can’t find any truly good creamy PBs that don’t contain sugar either and so when it comes to a truly good frosting, I will use that over the natural versions. I figure it’s a minor “indulgence” when the rest of the cake is entirely sugar free. Okay, I will look for that. This is on my definitely-make-it list. Your blog is one of my favorites. You always have fantastic looking recipes. Thanks for sharing them! Adams No-Stir Creamy Peanut Butter. Adams is a natural peanut butter with the oil floating on top, but for this one they added 2% (or less) palm oil so it’s creamy and doesn’t separate. Other than that, just peanuts and salt. 2 tablespoons has 6g carbs, 2g fiber, 1g sugars. So you saying use Skippy natural pb for this cake I’m on a low carb diet I also only have the whey in a vanilla flavor I also have the Knox which should I use? Is it okay to use Splenda throughout this cake. I do use Skippy Natural in a cake like this. The vanilla whey should be fine, just don’t add any more vanilla to the batter. Hi Lisa. Thanks so much for your support! Truth be told about this cake, I only had to cake pans. I put 1/3 of the batter into each of the pans, baked them, and then once I flipped them out, I baked the third layer. But you could also bake in 2 cake pans and just do 2 layers. The baking time would be longer, of course. As for coconut flour…yes, you can sub oat fiber and I’d aim for 1/2 cup. I can’t be sure you will get exactly the same texture. YOu could also do another cup of almond flour, that would be fine but I think the texture won’t be as fine. Your recipes often call for whey protein – what is your recommended substitute? We are dairy-free and it’s quite hte struggle where baking is concerned. THat’s easy! Hemp protein and egg white protein powder are perfect substitutes. Hope that helps. Thank you so much for providing a link the the brand and type of Stevia to use in this recipe! 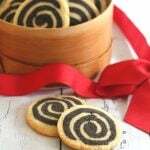 🙂 It’s hard to make different recipes when there are so many kinds and the amounts vary in sweetness on most of them. I can’t wait to bake this for the family! 🙂 Thanks for all the wonderful things that you do for us. That looks absolutely amazing! I’ve seen seen such a perfect looking gluten-free layer cake. That is a gorgeous cake! What is the purpose of the Protein Powder? Gluten is a protein and helps things rise and hold their shape. I find adding additional protein to my baked goods helps them that way too. Do you have to use the stevia? No, but if you want it to be sweet enough, I’d add another 1/4 cup Swerve. Test away, and do let me know your conclusions! Divine! I’m with you on not being able to decorate cakes & have given up trying. It’s really 20 servings? One rich cake. Your photographs are beautiful & inspiring. Thanks for another incredible recipe. It’s very rich. We got 20 servings out of it…you could break it into 16 too but your carbs and such would be a bit higher. And you’d be very full afterward! How can this magic be? So beautiful and all my favorite flavors. I wish you could come make this for my birthday tomorrow! Holy ganache! This looks great, but it’s WAY too much cake for me. I was thinking of halving the recipe and baking in my mega muffin pans. Besides lining with parchment and adjusting baking time, do you think I’d have to change anything else? Oven temp for instance? Also, I think it’s fantastic that you answer all the questions posted. So many bloggers do not. Thank you. Oven temp would be the same. I don’t know exactly what the baking time would be so start at 12 minutes and check every few minutes after that. 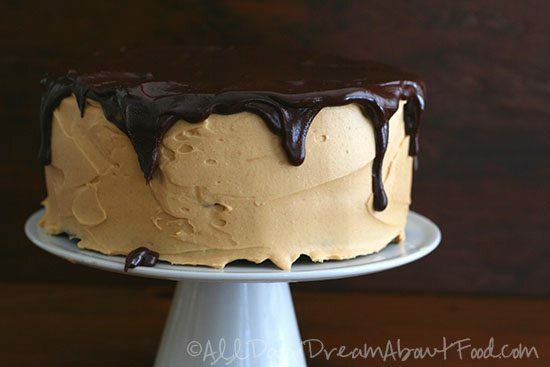 I’m giddy over this recipe, Carolyn, and I agree that ganache is our decorating superhero! Because of my allergies, I can’t use coconut flour, but I’m fine with gluten, so I’ll probably sub cake flour. Weird question: When you squeeze a hand full of coconut flour in your hands, does it slide through your fingers (like bread flour), or does it pack together like confectioners sugar? I don’t know, I’ve never squeezed coconut flour! I will try it, but it’s very powdery and has the texture of bread flour…except it soaks up way more liquid. If you sub cake flour, you’ll need a bit more. Try 3/4 cup. LOL! Squeezing the flour sounded naughty! You have truly outdone yourself with this cake Carolyn!! I’m in awe of your wonderfulness!! What a beauty!! Thanks, Brenda! It has my favourite flavours so it was bound to be good! What a success story you have made this recipe to be! In the past I have made the original recipe from Smitten Kitchen, and it is a fabulous cake. All your effort to adapt that recipe to be HEALTHY as well as delicious and beautiful and tasty is SOOO appreciated. Thank you very much, Carolyn. To other bakers RE: Coconut flour. 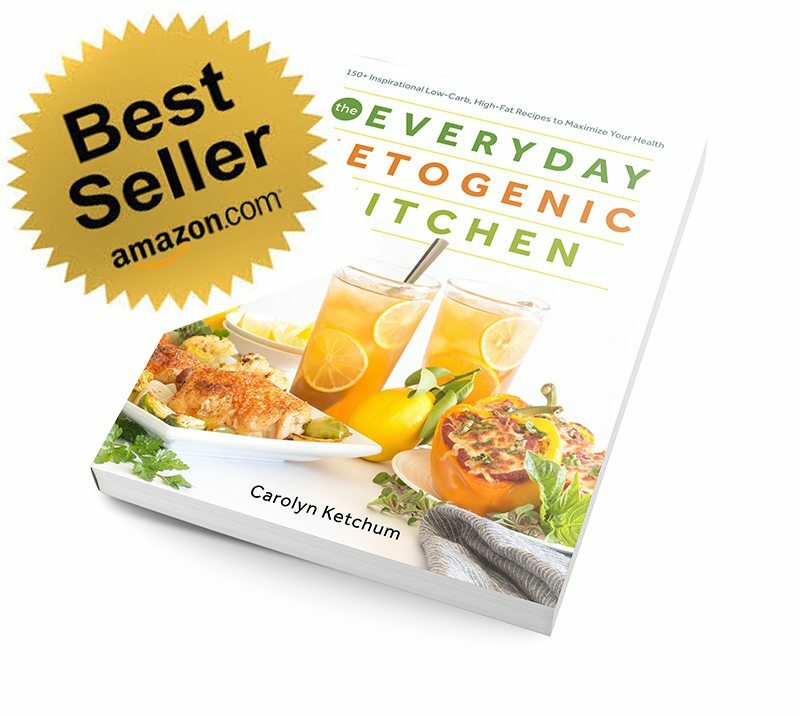 All recipes use so little that it is good to always have it on hand. One pound will last a very long time. Nuts.com and Tropical Traditions are good sources. Thanks, Beverly. And you’re right on coconut flour…it lasts a long time and when used in small quantities like this, you don’t get any flavour from it. So far, my favorite gluten-free recipes have been a combination of almond & coconut flour; it seems to solve the texture issue. And don’t think you won’t like it if you don’t like coconut; it will not last like coconut at all! Thanks for this recipe; it looks amazing! Would it be possible to substitute monk fruit sweetner for the Swerve? That’s all I have on hand. I know that I wouldn’t need to use as much, so I didn’t know how it might affect the texture. You should be able to, but it may affect the frosting a little – you may need to add less liquid. Not sure how the ganache will fare, it may end up a little thinner. This may possibly change my life. wow. I am thinking valentine’s day dinner dessert!! I made this yesterday while I was snowed in. Very tasty! Hi! This looks TOTALLY dee-lish! And I think I can make it dairy free pretty easily. The only thing is – that Swerve sweetener really upsets my tummy. Do you have any other suggestions? Would Stevia work and if so do you know the conversion? Thanks! M.
Swerve measures cup for cup like sugar so add in as much stevia as you would sugar in this recipe. I think your ganache will be pretty bitter, though. im in love.. my birthday is next month and what are my 2 favorite things .. dark chocolate and peanut butter omg !!! saved me from going off my diet with this masterpiece!!! This looks awesome! Are there substitutes for whey powder? What purpose does the whey powder serve in this? It only needs to be low-carb (we are not dairy free or anything). Thank you for the awesome recipes! Gluten is a protein that helps baked goods rise and hold their shape. In its absence, added protein like whey or hemp help do the same. this cake looks amazing! I’m not at all fond of coconut though – does it add much of a coconut taste? and can you suggest a low carb substitute if there is one? No, it does not taste like coconut at all. This looks great! Why is it that you recommend against natural peanut butter for this? If you want a truly smooth, creamy frosting, most natural peanut butters aren’t going to work very well. My batter is so dry and crumbly. Is this correct? No, it shouldn’t be dry and crumbly at all. Can you add some more liquid? What brand of coconut flour did you use? That’s very strange. It should not have been so dry and this recipe, although I tweaked the baking soda vs. baking powder a bit, is something I’ve used many time. Did it come out of the oven yet? I use Bob’s too. What kind of almond flour did you use? I am sorry about that but I am going to guess that it’s your almond flour and that it is too coarsely ground. It may be more almond meal than almond flour. The other possibility is that you mismeasured something. Low carb, gluten-free cake batter is often thicker than ones made with regular flour but it should be a batter still, not a hard crumbly dough. I know this cake recipe works because I’ve used it numerous times. I can’t pinpoint what’s off in your case because I am not in your kitchen! I hope it worked out alright in the end. I had the same problem. The batter seemed thick. I split it between three 6″ pans – it looked great but the cake portion was a bit dry – not as moist as I am used to. Will definitely try again, wonder if maybe adding an extra egg or coating with a simple syrup made from the swerve mayoisten it up. Thoughts? What kind of almond flour are you using? If your batter is thick, you simply need to add a bit more liquid to the batter. What do they carry? If you can’t get powdered erythritol, I am not really sure how you can make the glaze. You might be able to make the frosting with liquid stevia or liquid sucralose. You can ground your sweetner in a coffee grinder if you have one to make it powered. This looks amazing Carolyn! I was just wondering does the Swerve powdered sugar mix into the icing well without leaving a grainy feel? I was trying to make some Chocolate Buttercream Frosting with Kerrygold butter and I turned Steviva brand (which is a erythritol and Stevia blend) into powder in my Vitamix, but it was so grainy that it was practically inedible. Any advice? Thanks! I know people like to try to powder their own sweetener but there’s simply no way to get it as fine as commercial brands can do. If you buy powdered Swerve or even ZSweet, you won’t get any grittiness like that. ZSweet just comes in one form, right? I was checking out their website and just saw granulated. You think it would dissolve enough in the frosting/ganache to not be gritty? No, Zsweet has a powdered version. You should get some of that for the frosting and ganache. We made this last night and it was astoundingly good. You are a wizard. The peanut butter frosting is to die for. Thanks for posting your recipes! When you say unsweetened cocoa you me a hard chocolate and not cocoa powder, correct? I am making a list for the store and want to make sure I have everything. I think this could be a new birthday cake for me! Oh, my! I am sitting here celebrating reaching my goal of losing 30 pounds thanks to eating low carb (using MANY of your recipes, by the way). I wanted to make myself a cake, and looking at your pictures is almost good enough! I am enjoying a celebratory glass of red wine as I scroll, and I was actually praying the whole time, hoping the recipe would not involve artificial sweeteners. I simply cannot stand the chemical-aftertaste-gag-bug spray-what am I eating-thing that goes on with fake sugar. However, I WANT CAKE! If truth be told, I have tried everything but Swerve. If you can pinkie swear that I will not have the above mentioned reaction, I will make this cake. (Tomorrow. I lied….I’ve had 2 celebratory glasses and can’t get to the store right now). I’m sorry about my delayed reply, this comment got buried somehow and I only just found it. I can’t, of course, pinky swear that you will not have an aftertaste with Swerve, because every palate is different. I do not, and many others do not, but I can’t guarantee for you. Please keep in mind that Swerve is NOT artificial sweetener. I agree with you on the artificial ones, I cannot stand the taste of sucralose or aspartame. I made this cake today for my son, he turned 27 and is on a low carb diet. There are others in the family that are gluten free, this cake was amazing!! My cake was not as pretty as yours was, and I did not have to refrigerate after frosting but the taste was wonderful. I have one son who is gluten free and low carb who does not like chocolate but loved this cake. Thank You!! We all enjoyed it!! So good to hear, thanks for the feedback! Are you allergic to almonds? 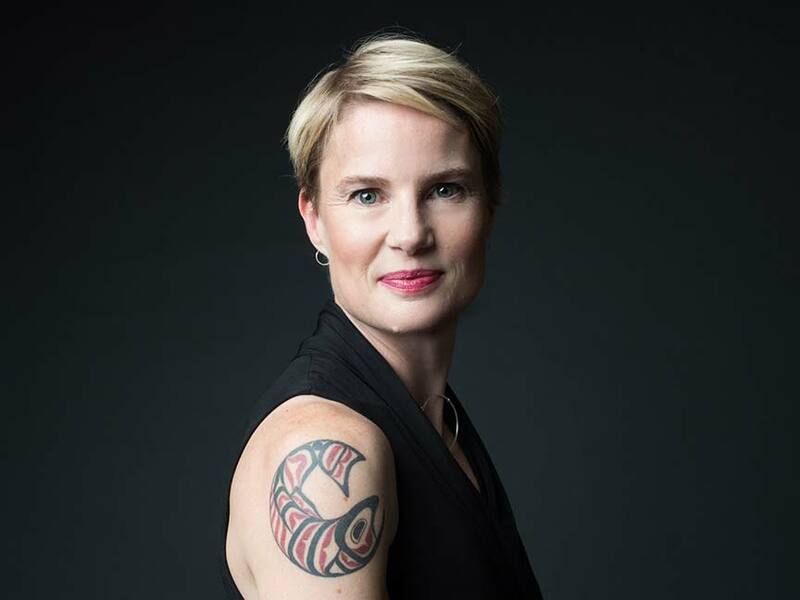 Carolyn, you are the BEST low carb recipe wizard on the internet, hands down! No, I don’t really have a better substitution but you could follow my recipe for chocolate coconut flour cupcakes for the cake part itself. You’d have to triple it, probably. I saw this on Facebook a few days back and it blew my mind!! Looks so awesome! Can I use unsweetened cocoa powder, on the container it has a conversion of 3 tbls of cocoa with 1 of oil for each ounce. If so, do I use both oil and then add the butter in the recipe. Do not have the bar chocolate and unable to get out. Lots of snow…. Yes for the chocolate ganache. Do I use the oil and the butter both? Yes, I think you would have to. Unsweetened chocolate has cocoa butter in it, which is what you are replacing when you put oil in with the unsweetened cocoa powder. Then you’d need to add the butter in for my recipe. If you find the end product too thin, I’d add a little more cocoa powder to help get the right consistency. Thank you. Have tried your low carb cinnamon roll coffee cake – people have asked me for the recipe and can’t believe that it is made with almond flour. Have made your cupcakes, hazelnut cake, chocolate cake, crab cakes and others. The pancakes are the best – my husband can eat pancakes again. He can’t have sugar or wheat products. Keep the great recipes coming. Have modified a cookie recipe for him as well. This cake is phenomenal! I made it yesterday for my husband’s birthday and he agrees! I sifted my dry ingredients beforehand and used the baking soda/apple cider vinegar/cream of tartar and the texture and moisture was just fantastic. Great flavor. I served it to some non-low-carbers and they couldn’t believe it was sugar and grain free. Excellent job, Carolyn!! My husband made this came for me as a surprise for Valentine’s day. It was amazing. I couldn’t believe how wonderful it tasted. Thank you so much for posting all of these recipes. It has made the difference in my weight loss. I am 60 lbs down and you have really helped to make that happen. I am so glad and go husband for making this! This was delicious! I didn’t want to make the three-layer cake, since that would be a lot for us to eat, so I made all three cakes but planned to freeze two and just use them later. One of them stuck, though (I didn’t use parchment like you recommended), so I took the pieces that stuck and mixed them into the extra frosting I had. They were like little frosting balls- and they were amazing!!! Also, I did use natural peanut butter and I thought it tasted fine. It probably wasn’t as smooth/fluffy, but I didn’t mind. I have all the ingredients to make this cake I only have whey chocolate protein powder can I use that. Yes, I think that will be fine. I’d like to make this for my dad’s birthday tomorrow, but my nephew is allergic to both coconut and tree nuts. I wonder if I could just use all-purpose flour in place of the almond and coconut flours and regular milk for the almond milk? Would I have to change any of the proportions? Some day, when the little bundle of allergies isn’t around, I’ll have to make it the regular way too, it sounds and looks delicious! No, the proportions won’t be the same at all using regular flour. I’d suggest following a traditional chocolate cake recipe, subbing the sugar for Swerve, and then using my frosting and chocolate ganache recipes. Awesome — thank you so much for the quick response! Thank you for the wonderful recipes. I have tried so many of your recipes and its because of you, I now know how to cook 🙂 I do have a question and please forgive me if you have answered this question at some point. Why do you use two different sweeteners? Is it for texture in cakes? I have tried Swerve and like the sweetness but not the cooling. I found that I love Xylitol, maltitol and Ideal sweetener. I just bought NuNaturals liquid stevia yesterday because others have said that it is less bitter than the others that I have tried. Anyway, if I use the NuNatural and xylitol would I use the same conversion as you used above for instance? I keep making food but more desserts using real sugar to determine if the flavor is good before I use these very expensive bags of sweeteners on the “for real” low carb version. I need to find the correct balance so that I can stop going back and forward. Thank you again for the great instructions, clear and easy web site and your funny stories. I use two in part because I used to use regular erythritol and I found that using some stevia enhanced the sweetness with less cooling effect. I don’t get a cooling sensation from Swerve, so I can use it full strength but it’s also expensive. A bottle of stevia lasts a loooooong time so it is much more cost effective. So that way, people can stretch out their erythritol for longer. But Xylitol and stevia would also work just fine and you can use it the way I use swerve and stevia. And you can always taste test your batter to see if it’s sweet enough and then add more. Use pasteurized eggs if you’re worried but taste-testing the batter saves a lot of time and energy! 🙂 And I’ve found my recipes very forgiving…I can add something more at the end and mix it in without any change to the consistency of the result. Not only can you cook but you are a mind reader. I don’t taste test because of the fear of consuming raw eggs 🙂 Great information. Thank you so much for taking the time to respond. If they have Safest Choice eggs any where in your area, get those. They are in the shell but their pasteurized. It’s been good for a inveterate taste tester like me! I just made this cake yesterday and it is SO good!! One of my favorite things ever, thanks for sharing! I have a question though – my layers cracked something awful and once the filling was in, it split… Do you know what I did wrong? I am thinking I may have to turn it into a trifle next time if I make a mess of layers again, lol! Did you follow the recipe as written or change anything up? 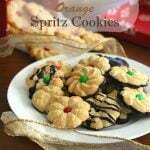 Next time, you could try spritzing the oven every so often with water to add some moisture while baking. That could help. Beat until smooth, don’t whip. Yours won’t be completely smooth if you’re using natural PB, though. I’ve never heard of Swerve. Went to look it up & the package doesn’t look like anything I can recall seeing on the shelves locally. Can I sub Xylitol? That is readily available here. Also, what do you mean by a “cooling effect?” That it feels cold in the mouth? Yes, you can sub xylitol in the cake and frosting but you really need powdered sweetener for the frosting to make it smooth. And yes, cooling effect as in mint gum. Hi Carolyn, I am making this tonight. I just realized that his didn’t have Greek yogurt, hmmmm… I was looking at your chocolate bundt cake that had Greek yogurt and I thought I didn’t have it and wondered what I would use. I just made the high carb black magic cake and it was delicious so I decided to make this one instead. I have to stop falling off of the wagon. Anyway, I do have stevia extract but its not sweet enough, I really like xylitol too much. What is the conversion, the recipe above calls for 1/4 tsp of stevia. Last question, I only have vanilla whey, can I use that instead of unflavored? Will the flavor be off too much? I’ll follow-up to let you know how it came out, I am so excited. Thank you in advance for your response. Go ahead and use the vanilla whey and skip the vanilla extract. And 1/4 tsp of my stevia extract is about 1/4 cup of sugar so use xylitol in whatever amount you think equals 1/4 cup of sugar. What couldn’t I figure that out? So simple and sensible… Thank you for taking time to respond. I made the cake last night. I used a 9×13 cake pan and baked it for 40 mins. I kept checking it every 5 mins. after 25 mins. until the toothpick was clean. It is a very yummy cake. I topped it with a whipped cream cheese frosting. I do not like coffee at all and there is really no heavy coffee taste. It reminded me of a devils food cake and like a brownie somewhat with no frosting. Thanks for sharing. I had the same problem as a couple of other posters. It is like the cake just didn’t rise. It was n’t smooth on the surface at all and it cracked b/c the layers were so thin. Could this simply be b/’c of the almond flour or could it be that you need the cream of tarter/vinegar mixture (I used the baking powder)….flavour was fine but not strong at all, a little on the bland side. Peanut butter frosting was great. I used coconut cream instead of heavy whipping cream and it didn’t really affect flavour at all. No, it’s not the baking soda/baking powder at issue here because I’ve done this same recipe with both leavening agents and it’s fine. What kind of almond flour did you use? 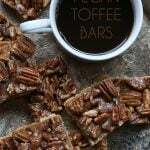 Hey, this recipe looks perfect for what I’m planning for my friends birthday (Low carb diet, and is diabetic), but he’s allergic to tree nuts! Is there a substitute you can recommend for the almond flour? Can I use vanilla soy protein powder instead of unflavoured? Should I reduce the amount of liquid sweetener to compensate the additional sweetness? Thanks!! Sure, that protein should work fine. I think you will find that the cake is not overly sweet so probably no need to reduce the other sweeteners. I made the cake into 18 cupcakes. The taste was great and they were moist, but I was disappointed they were very crumbly. I did use the baking powder (vs. baking soda, cream of tartar and vinegar). Do you think that made the difference? 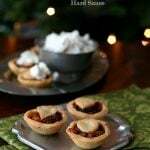 Is there something else I could try to make them less crumbly? Hi Lee…it might have made a difference, I can’t say for sure because I haven’t tried it. My whole layers were not overly crumbly. There are so many factors here I can’t identify the issue but it can be brand of cocoa powder, coconut flour, almond flour, etc. Maybe next time, try 3/4 tsp of xanthan gum to help bind them a bit more. I didn’t feel I needed it in my recipe but it sounds like you might? Made this for Easter and everyone loved it! I didn’t do the ganache because I ran out of time and energy…I chopped up a Choco Perfection bar and tossed it on top. Worked great but I still want to try the ganache, good excuse to make another one! I just made this cake but the layers didn’t rise at all. They are not even half the thickness as shown in the picture, actually no thicker than the raw dough was when I put it in the pan. I followed the recipe to a T..using the baking soda, cream of tartar & apple cider vinegar. What could be wrong that the layers didn’t rise. I also used the Swerve powdered sweetener (not the granular) as directed in the Chocolate Ganache but it doesn’t melt into the chocolate & butter to make a smooth Ganache. Any suggestions? Haven’t tasted it yet. That will happen tomorrow for our Mother’s Day dessert. A couple of possibilities in the cake…what kind of almond flour did you use? If it was a coarser almond meal, that might be the problem. It’s also possible that your baking soda was old and had no “power”. I am sorry that happened but I can’t really pin point the issue because others have made the cake without a problem. Not sure about the ganache as I have made that ganache many, many times and have no problems getting the swerve to mix in. It’s not as perfectly smooth as something made with sugar but it does make a great ganache. Hi there, this looks soooooo awesome. Just wondering, if I have plain Collagen protein powder (Great Lakes), do you think that would work in place of whey? Thanks for all the great recipes! I am not sure, I’ve never used collagen to replace the whey. But it’s worth a try! I am dying to try this! But there’s one teensy problem….I’m allergic to coconut (but not coconut oil thank goodness) is there anything you can suggest to safely replace the coconut flour? Try adding another 3/4 cup of almond flour instead of the coconut flour. Can you tell me what the carb count is for just the cake? I don’t want the peanut butter frosting or ganache. Thank you! I am sorry, I didn’t run the numbers on just the cake. I don’t have that handy at the moment. But you can run the ingredients through something like MyFitnessPal and it should give you correct results. Can I use gluten instead of the whey protein? How much? Thanks. I don’t know, I don’t use it. Maybe 1/4 cup? Hello! I’m so excited to try out this recipe tomorrow! One question: would it be fine to replace the almond milk with diluted heavy cream? I’m a bit worried about the carb content in the almond milk. Unsweetened almond milk has 3 g of carbs per serving. You are using less than a full serving so I don’t see how it could be an issue. However, just use water if you don’t want to use the almond milk. I made this cake yesterday and was thrilled with the results! By far one of the best low carb cakes ever. Thanks so much for the recipe. Thanks for the feedback! So glad you liked it. I’ve had my eye on this for some time, and with my boyfriend’s birthday coming up, I finally have the perfect excuse! He’s more of a milk chocolate peanut butter guy though. Would you say both the ganache and the cake have a dark chocolate taste? Also, I noticed you didn’t use a cream and chocolate ganache. Would doing so work with this cake? I’m thinking I could get more of a milk chocolate taste that way, by using Lily’s chocolate and cream. Last question, what brand of dark cocoa did you use in the cake? Thank you so much! Yes, both cake and ganache have dark chocolate flavours. For the cake, you can lighten it a bit by using a different brand of cocoa powder that’s not dark. And maybe reducing the amount of cocoa powder a bit. The reason I don’t do a cream ganache is because unsweetened chocolate is super-finicky and seizes every time I try to add it to hot cream. But you might have more luck with the Lily’s and cream mixture. Thanks for the response. I’m going to try making a milk chocolate ganache using cream and Lily’s milk chocolate. As for the cake, I don’t want to risk it. I’m going to make it exactly the way you did. What brand(s) of dark cocoa powder have you had success with in this recipe? I’m wondering if the commenters who had issues with the cake not rising used a different cocoa powder. Apparently they have different acidity levels which would affect the leavener. I suspect the cake not rising actually comes from using the wrong almond flour (using something more coarse, like almond meal). There’s also the possibility that their baking soda (or powder) was not fresh, which can kill a rise. But it could be the cocoa powder – too many variables! So I suggest you use Honeyville almond flour, if you can get it, Bob’s Red Mill coconut flour and Hershey’s Dark Cocoa powder. Those are the ones I use. If I only have almond meal, can I pulse it in my blender to make it a finer texture? I suppose so but you would have too much frosting, I think. I was thinking of omitting the frosting (I want to surprise my husband and he’s not the peanut butter fan that I am) and making it as a bundt cake with the ganache poured over it. Would the baking time be the same? I don’t know if the bake time would be the same. I suspect it would be longer. I baked it in a bundt pan for 45 minutes and made a glaze with Swerve, cream and almond milk and it came out beautifully! Thanks so much! Also I’m at about 5400 feet, baking at higher altitude can be tricky, this worked perfectly. Do you know what the conversion would be with Truvia instead of Swerve? That’s all I have. They both are supposed to measure cup for cup for sugar, so I suppose they would be the same. I can’t say for sure, I don’t use Truvia. Is this recipe able to halve well? 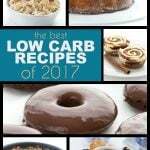 I want to make this for my father in-law this weekend who is diabetic and glucose sensitive as well as living a low carb life style. He rarely gets a dessert or treat so I would like to surprise him, but I want to try it out first. Thanks! I don’t know, I didn’t try only making half. I think you will be able to cut all the ingredients in half easily enough but baking the layers will be very different. You can do two layers, but they will still be smaller than the ones I made and you will need to watch them carefully. The baking time would obviously be much less. Or you could bake it into a single layer, maybe in a square pan. Hi, I have been trying to eat healthier for the past month but my birthday is in 10 days and I love chocolate. 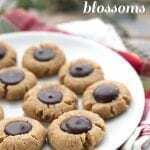 This recipe looks like it would be a good fix for that, but I have extreme allergies to tree nuts. 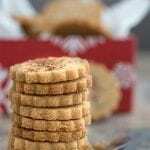 Almond flour would not work for me and I often have reactions to coconut as well. Do you have any suggestions for me in using this recipe and substituting those ingredients? Can you get a hold of some sunflower seed flour? Or even flax meal might work. I made the original version of this cake from the Smitten Kitchen website for Christmas two years ago. It is one of my favourite cakes, although I have not made it since. So excited to find the low carb version. Thank you thank you! I baked this cake and took it to friends house and we loved it! My friend and I are low carbing and totally enjoyed it and so did our spouses who are not low carb. Thanks for all you do to make others life easier! Wow! This recipe looks and sound so yummy!!! I have everything needed except unflavored whey. Can vanilla be substituted? Can I omit the swerve and other kinds of sweeteners and just use an erythriol/stevia mix? Would love to bake it but swerve is not available here (I live in Sweden). Also, do you have any suggestion for alternative fillings? My daughter is allergic to peanuts. For the cake, you can definitely do an erythritol/stevia mix. 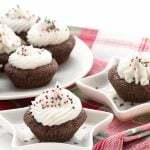 For the frosting, you need a powdered sweetener, so can you powder erythtritol in something like a coffee grinder? And any nut butter will work for the frosting, too. Is your daughter allergic to all nuts? Thanks for your reply. Oh, so for the frosting, you mean I must have something like (low carb) icing sugar? Well fortunately that is available in the stores so I won’t have to buy a coffee grinder, hehe. Well my daughter is just 3 years old and the peanut allergy came as a shock when she was eating satay chicken for the first time, I had no idea she had an allergy before that, since neither me, my husband or her older brother are allergic. Since then I haven’t dared let her try eating any kind of nuts. Do you think I can make like a vanilla cream filling instead? I’ve tried this twice today with 2 different brands of almond flour. I even sifted the almond flour the second time around and ground any almonds that wouldn’t go through the sifter. I’m just going to have to switch over to the coconut flour cupcakes and hope for better luck. First time around was Now Foods almond flour and I should have known that wouldn’t work because it was very coarse. Second time around was Bob’s Red Mill. Those are the only 2 almond flours available to me in my area. Do you ever order online? That’s how I get Honeyville. Also some people have had good luck with taking Bob’s and grinding it a little further in a coffee grinder or magic bullet. I do order online, but I’m in a time crunch right now (cake is due tomorrow afternoon). The Bob’s is what I did grind in my coffee grinder. Still didn’t rise. Baking Powder was a freshly opened can, so that wasn’t it either. Had to be the almond flour. What a shame, I am so sorry. The coconut flour cupcake recipe turned out perfectly, so it all has worked out! I love the peanut butter cream cheese frosting. It’s to die for (and I’m not even low carb or gluten free). Bob’s now makes a super fine almond meal….found it at Sam’s club in a 3 lb bag for less than $13! Fabulous find. I know. It’s the only one I use now. I made this cake when you first posted the recipe (I’m now about to make it a second time) and just remembered that I never commented to tell you how fabulous the recipe was! Definitely one of the best of grain free low carb cakes I have ever made (if not THE best – and I’ve made a lot of them!) I agree it was impossible to tell it was low carb/grain free. I followed your instructions exactly, except that I made it as a double layer cake in 2 x 9 inch pans. Thanks so much for the recipe! Thanks so much. My girlfriend found this and made it for me. It is amazing. I am a Type II Diabetic and this cake did not mess with my blood sugars. I felt like I was cheating but no bad effects. I have been on the Ideal Protein diet to control my blood sugars. This cake fits in perfectly. I am so VERY glad to hear it, Ed. Trader Joe’s natural peanut butter has no sugar and is smoother than “normal” peanut butter. This looks amazing. I’m just getting into low-carb baking, and I’m wondering about the use of Swerve vs. Splenda. Do the sugar alcohols in Swerve help with baked goods? Is there a difference in baking among the different no-calorie sweeteners? I’ve tried to stay away from sugar alcohols, but I’m not sure it that would affect my baking efforts. Thanks! Erythritol is very different than other sugar alcohols, since it causes far less GI discomfort for most people. And because it has a crystalline structure, it definitely helps with texture. That said, you could do Splenda in the cake part here, but you would really need powdered Swerve or another powdered erythritol- based sweetener for the frosting. Personally, I think Splenda is the sweetener to stay clear of, since it’s a man-made chemical, but I realize that is personal preference. I was just wondering is there anything I can substitute for the cream-cheese in the frosting recipe?? Because I absolutely DETEST cream cheese-based desserts (one of the reasons why I HATE most cheesecakes) and cannot stand the sour aftertaste of cream-cheese in desserts. So I was wondering if I could substitute mascarpone cheese, or something else?? You can certainly try mascarpone. I will tell you, it can be a little tricky…it can separate when beaten with other ingredients so make sure it’s room temp and treat it gently! Yes, I can imagine it could be bad if you used only stevia. I’ve never seen Natvia, but looking at the site, it’s much like other erythritol based sweeteners that are combined with stevia (Truvia, etc). You could simply replace the Swerve and still add stevia, or you could replace the stevia with a little more of the natvia. 1/4 tsp should equal about 1/4 cup. I made this a while ago & it was FANTASTIC! I usually try to follow your instructions to a T as I expect to get the same results as you…however; not having any 8″ cake pans – I baked this recipe in (2) 9″ pans & it came out fine. I wanted to make this recipe again, but I can’t remember if I used baking powder, or the baking soda combo. What is the difference between the two? Baking soda is pure sodium bicarbonate and it requires an acid (the vinegar) to get it to react and start creating bubbles to help cakes rise. But it requires you to work quickly and get it in the oven quickly…you don’t want your batter to rise before it’s being baked! Baking powder is baking soda plus some starch (often cornstarch but if you can find Hain’s, it uses arrowroot starch, I think) and some cream of tartar or other weak acid. The weak acid means you don’t need to add anything else and the starch helps delay the process of rising so that it doesn’t happen before you get thing into the oven. Thank you for the chemistry lesson! Serves 20… Oh you are a funny girl! Hahahaha! But seriously it looks delicious!! Might pureed avocado replace butter or a portion of the butter required in the cake, frosting or ganche? I have considered trying it in baking desserts, but I haven’t done so yet. I know avocados have a tremenodus enromous water which may require other liquids in the recipe to be reduced. It may be more trouble that it is worth, but I hope not. I really don’t know, as I didn’t try it in this recipe. You’re certainly welcome to do so! Thanks so much. Although you haven’t tried to do it, does it seem plausible? Sure. I would hold back on added liquid until you see how thick the batter is. Gluten-free batters like this are thicker than ones made with flour as it is…but it should be spreadable, still. I realize this us a “healthy” food blog but your chocolate topping is not ganache, as ganache, by definition (see below) is chocolate and cream. You need to either call it chocolate topping, frosting, icing, etc. or “faux ganache.” on all recipes containing this concoction. 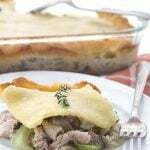 It is blogs like these that gave destroyed culinary (usually French) techniques and throw their true meanings out the window. Oh for heaven’s sake, lighten up! Very mature. Thank you. I will definitely be sticking to following actual chefs who know what they are talking about. Come now. You have to admit that your comments about “blogs like these destroying French culinary techniques” was designed to be inflammatory. I simply didn’t feel like rising to the bait.
! cup of almond flour to replace the coconut flour should be about right. Yesterday was my birthday and I knew I wanted to treat myself with a dessert that contained chocolate and peanut butter (the absolute best combination) but I’m to the point in my low carb journey that I refuse to cheat. It’s just not worth the guilt and the way I feel about myself. I knew I could count on you, Carolyn, to have exactly what I was craving. As in most low carb desserts, almond flour is required and I have always ground my own almonds because it’s much cheaper. But I like to take the time to read the comments on any new recipe I want to make. In doing so, I knew I would need to finally break down and buy the finely ground blanched almonds so I splurged and bought the 5lb Honeyville. I’m so glad I did! This cake was divine, decadent, heaven in your mouth!!!! Wow! I didn’t use dark cocoa because I didn’t have any and so just used regular cocoa. It was amazing anyway! I also didn’t make the ganache as I’m not a huge fan of ganache and figured I’d save a few calories by doing so. Thank you so much, Carolyn, for all your hard work creating such awesome desserts!!! You are my go-to when I’m craving a delicious yummy!!! 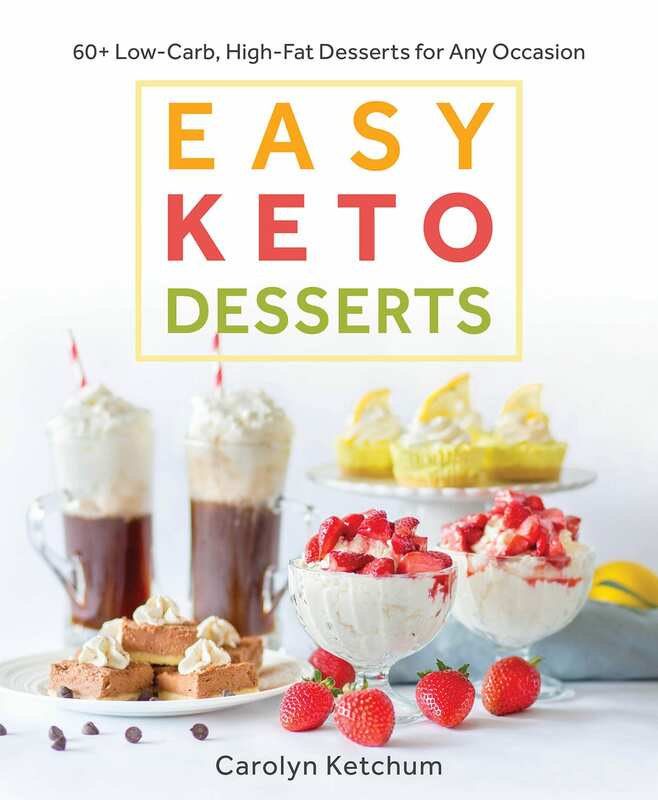 Hi, I have a home based bakery business and I just started the keto diet, so you know I have a sweet tooth lol. Anyway, what recipe analyzer did you use? I can’t seem to find the proper one to match the macros you posted. Thank you! I use MacGourmet, it’s a software system I had to buy for my computer and it pulls from the USDA database so it’s much more reliable than say My Fitness Pal. What recipe analyzer did you use? I will be frank, if it turned out dry, you did something wrong, because I’ve made the cake part of this many times. The culprit could be a few things…the almond flour (did you use almond meal instead? ), the cocoa, the sweetener, etc. Beautiful cake! Any substitutions for the whey protein and stevia extract? We have some low carb dieters and artifical sweetener allergies in this house. Trying to bake a cake that everyone can have for a birthday treat. Thanks! You need a dry protein to help the cake rise and hold its shape. You can use egg white protein powder instead. Stevia is not an artificial sweetener but if someone is allergic to it, you can use a little more Swerve instead. Hey we only have the erithritol/stevia/xylitol blend is it ok if I use that instead of swerve? Yes, that should work. You may want to powder it for the frosting. I want to make this for my husband’s birthday on Friday. We cannot find the unflavored whey or any of the substitutes you mention in your comments. I have found a Peanut Butter powder: PBFit. Do you think this would work? I can only imagine it would help intensify the peanut butter flavor…. That won’t have quite the same effect, I don’t think. You can skip it, but your cake won’t rise as much. Can you find vanilla protein powder and skip the vanilla extract? Being new to baking and seeing two different types of Sweve, should I be using the granulated or powdered version? If I say powdered, it’s powdered. If I just say Swerve, it’s granulated. Hooooooh boy! This cake is mind blowingly delicious! The frosting is super rich and fluffy, the ganache was perfect and hardened splendidly, and the cake itself is flavorful and moist! My wife has repeatedly said she can’t get over how good this cake is! You could serve this at a party and no one would know!! NOTE: I used mostly xylitol, and some stevia powder, for the sweetener. Hi, can you omit or substitute the protein powder??? No, it helps the cake rise and hold its shape. If you omit, it may not rise as well. Hi! I made this amazing cake last year for my daughter’s first birthday (actually I made three of them because my husband’s family is huge!) Anyway, my question is could you use THM baking blend in place of the almond and coconut flour? I’m going to make this cake again for her second birthday this weekend and don’t have time order the good smooth almond flour. I ground the almond flour last year, and could do the same this year but was just trying to save myself a step. Hi Libby. It’s going to be a lot drier with baking blend so while you can sub it out, I would add more butter and maybe even an extra egg. Thanks for the quick reply!! Since I know for sure your recipe is great, I’m going to stick with it, especially for something as important as a birthday cake!! What kind of sweetener did you use? I think some of the ones that don’t have a lot of bulk keep the cakes from rising as well. 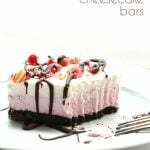 I recently signed up for your site after finding many recipes on it! You are my go to site! Just made this cake for work last week and everyone, even the carbers loved it!!! Thank you so much for all your genius work!!! On to the next recipe!!! Hi! This looks amazing! I want to make it for our church potluck on Sunday…I don’t have the swerve sweetener though, and I see it’s a bit pricey online. Can I sub for Coconut Sugar instead? Also, I have some fresh pressed peanut butter on hand. Would that work okay? The coconut sugar might be okay in the cake but you simply can’t use it for the frosting. I really loved the peanut butter and chocolate ganache frosting. The cake didn’t taste as good but the frosting helped. Made this over the weekend. Everyone LOOOVVVED it! I didn’t have any more cream cheese for the frosting as I used it all up in the cassarole for Sunday dinner. I made it with Mascarpone Cheese instead!!! How yummily awesome! Thanks for another super dessert. This is beautiful. I just made this cake to test for my son’s upcoming birthday. The icing is to die for… And I’m not a huge icing fan to begin with! However my cake didn’t rise, I have flat pancake style layers lol. I followed the recipe to a tee, any suggestions? All I can say is OMG!!! This cake was Fantastic! I made this for my granddaughter and my birthday (my first and she was born on my birthday). Everyone raved about it. This will be our new birthday cake. thank you so much for this wonderful recipe! I followed the cake recipe to the letter and my cakes seem more like brownies. They did not rise likemyour cakes did in the photo. Any suggestion on what went wrong ? If you used exactly the same ingredients I did, it should rise. Unless your baking powder or baking soda has been around too long. That’s the likely culprit. I made this on Sunday and it was another huge hit! The chocolate and peanut butter are in perfect harmony! I have had 100% success with your recipes Carolyn. 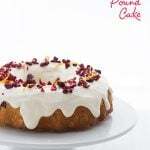 So far I’ve made the Italian Cream Cake and the Carmel Cake as well – both fabulous! I can’t wait to figure out which cake to make next! Thank you so much! So glad you like them. I haven’t made this one in a while… perhaps it needs me to revisit it! I just made this cake for my man’s bday and OH MY GOODNESS is it good! the flavors are so so rich and the texture is amazing. I can’t decide which part is my favorite because each layer and element is just so good. Since I can’t tolerate gluten, that means that the whole household is gluten free. I’m sure he has been feeling a little lack-luster about missing out on the deliciousness of things made with wheat, but this cake leaves absolutely nothing to be desired. It is better than any wheat filled cake! The directions and proportions were spot on and easy to follow. I had almost all of the ingredients on hand already. 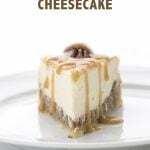 The addition of the coffee in the cake makes it so rich and really makes the flavors pop. I think this has become a new household favorite, I can’t say enough good things! Delighted you liked it! Thanks. Made this 2 years ago as an anniversary cake for my wife. It is hands-down her favorite cake ever. That’s right, the chocolate cake component alone is just as good as homemade standard chocolate cake! The ganache is a gorgeous finishing touch, if you carefully follow the directions. 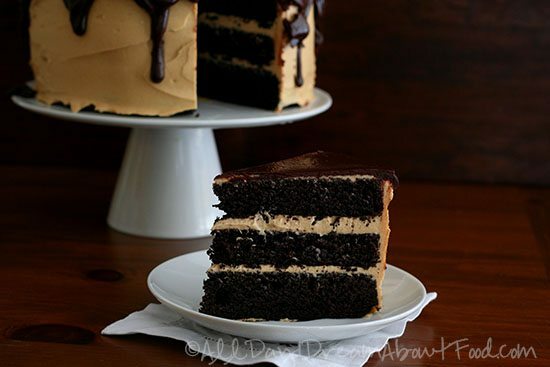 However, if you are not a huge peanut butter fan (like myself), plan to enjoy a small slice at a time, the peanut butter frosting (while amazing and perfect for using leftover amounts as a decadent apple slice dip) is very rich and can overwhelm the weak-at-peanut-butter-heart who try to down a big slab in one go. If you do love peanut butter, though, ignore this warning. Planning to make make another one today! Carolyn, your recipes are my favorite when it comes to low carb dessert. Last night, I made this chocolate peanut butter cake but it came out quite salty. I used baking powder instead of the baking soda and vinegar. Instead of almond milk, I added buttermilk. I also used regular butter instead of unsalted but I didn’t think it would have made such a difference. Any idea why? All of those things together would make it quite salty. Baking powder has salt and you have to use more of it to the rise than you do with baking soda. Buttermilk has salt and butter has salt. And then if you add salt…well, you can see where I am going! Got it. I’ll definitely have to try again! And thank you for so many amazing recipes. No, I haven’t because coconut palm sugar is still really sugar and I only use it in very small quantities. Just discovered your blog a few weeks ago and am having SO much fun! I was wondering how well this cake keeps if made a day or two in advance? I want to make it for my husband’s birthday this weekend, butthe day itself is going to be kinda busy. As long as you keep it in the fridge, it should be fine for a few days. What other substitutes can you use for whey protein powder besides Hemp protein and egg white protein powder? I have all the other ingredients for your dark chocolate peanut butter cake but the whey protein powder. Would xanthan gum work? If so how much would I use? No, xanthan gum would not work. You need a dry protein to help the baked goods rise and hold their shape. Do you have gelatin powder? You could use 2 tbsp of that. I can’t guarantee it will work as well, though. Gosh you’re a baking whiz, Carolyn. You’re so knowledgeable when it comes to ingredients – no wonder you rock up with cakes as freakoid cool as this! And yep, agreed. Chocolate ganache could nudge us towards world peace.